Based on Garrard Conley’s memoir Boy Erased, this film adaptation explores the harsh reality of gay conversion therapy. Whereas the film The Miseducation of Cameron Post felt very much for the teen perspective, Boy Erased has more of a maturity to its exploration of gay conversion, while serving as a useful tool to parents of LGBTQ children, especially those with a religious background. Jared (Hedges) struggles with his sexuality during his teens. Unsure of his orientation and heavily influenced by his baptist parents (Kidman and Crowe), notably his preacher father, he doesn’t come out to his parents or himself until he’s away at college. His parents seek the advice of their church mentors, and send Jared to a gay conversion program led by a horrendous Victor Sykes (Edgerton). It’s hard not to get angry at every aspect of what is going on in this “therapy”. Unconventional, warped and abusive sessions are used to shame the gay away while traumatizing those admitted to the program, often leading to participants committing suicide. Restraint is needed to not shout at the screen during these scenes as everything Sykes and his cohorts do feels infuriating, ignorant, offensive, abusive and just plain wrong. As this is based on a true memoir of a gay conversion experience, it’s worth highlighting that this film gives insight into the true goings-on of gay conversion to convey an accurate and somewhat in-depth portrait and perspective. As much as Jared’s story is central to the film, his mother Nancy has an equally important role to play as the mother who comes to the realization of the true nature of the “therapy”. She also comes to eventually accept her son for who he is, even if it contradicts her beliefs. Nicole Kidman as Nancy gives a wonderful performance, portraying vulnerability, remorse and empathy to a tee. Russell Crowe as Jared’s father is equally as wonderful, in what seems like a rare heartfelt performance from the once-great actor. Director Joel Edgerton seems to have gathered his Australian cohort for a power-ensemble in this heavy-hitting film. When talking about the performances, it’s almost too obvious to mention how good Lucas Hedges is in the lead role. After his star turns in Manchester by the Sea and Lady Bird, he’s already proven his acting talent and likability. 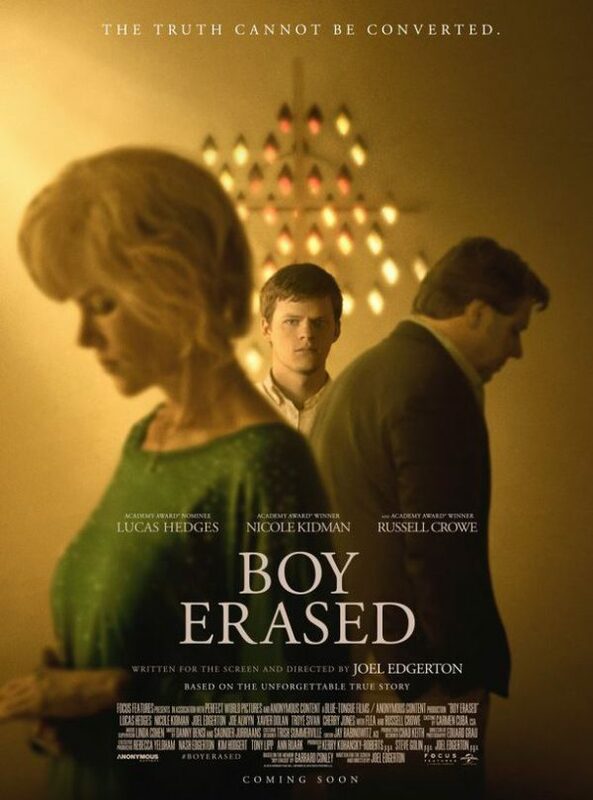 In Boy Erased he uses more restraint than with his previous roles, but manages a well-rounded and empathetic portrayal of a young man discovering his sexuality and coming to terms with it when it goes against his and his parents’ religious beliefs. The support cast too is wonderfully padded out. Joe Alwyn in his role as Jared’s college peer Henry is a complex and harrowing portrayal. And in the therapy itself, each of the young men and women are excellently developed, but seeing Xavier Dolan as an emotionally repressed, determined convert is particularly impressive, given his beautifully eccentric body of work. Boy Erased is unfortunately a timely story to be told in an era where Vice President of the United States Mike Pence holds the views that he does. Never preachy, but always questioning, the film uniquely combines its perspectives from both the person attending the program and the parents who sent them there. An emotional and upsetting film, it’s too heart-wrenching to be a comfortable watch, but too important to not give your attention to. 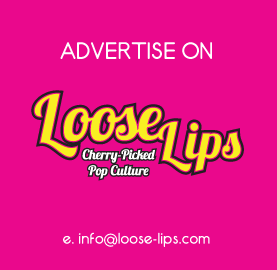 This entry was posted on Sunday, February 3rd, 2019 at 8:25 am	and is filed under Features, Film, Review.